Oh well, it was worth a try… Here’s the text, it’s a bit hard to read in the image, screen grabs are not the clearest of things. perennial sweet peas have burst into flower, the rowan tree is heavy with berries, the jasminoides is having a spiral flower moment – I thought it had died in the winter – the leeks have joined the flower party as have the alliums and the stipa tenuissima in the front. Here are the photos in a Gallery instead. If you click on them you should see them full size. 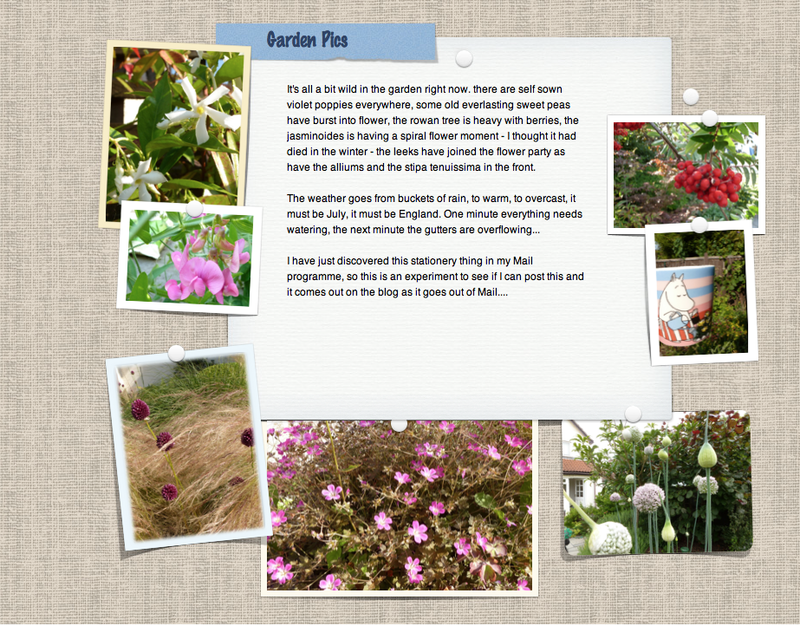 This entry was posted in Garden on 19/07/2011 by Joanna. sometimes I feel I should spend more time improving a few things in the blog, but…. never seem to be able to do it. Too bad the mail thing did not work, I bet you spent a lot of time struggling with it – but the photos of your garden are gorgeous, you live in a wonderful spot! That’s a pretty neat bulletin board layout. It was worth a shot to try. Maybe there is still a way? I could look at your garden pics all day. I love your flowers. 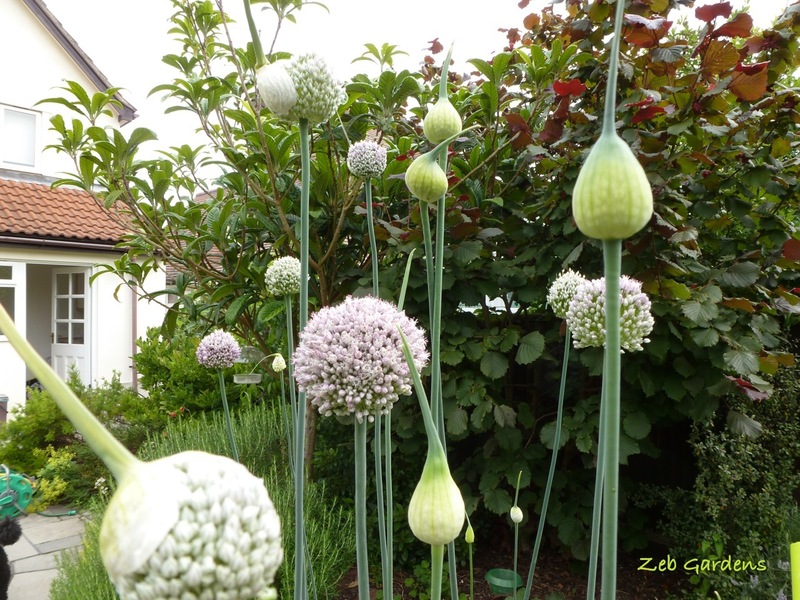 Allium are cool flowers, like something you’d see in a Dr Seuss book. 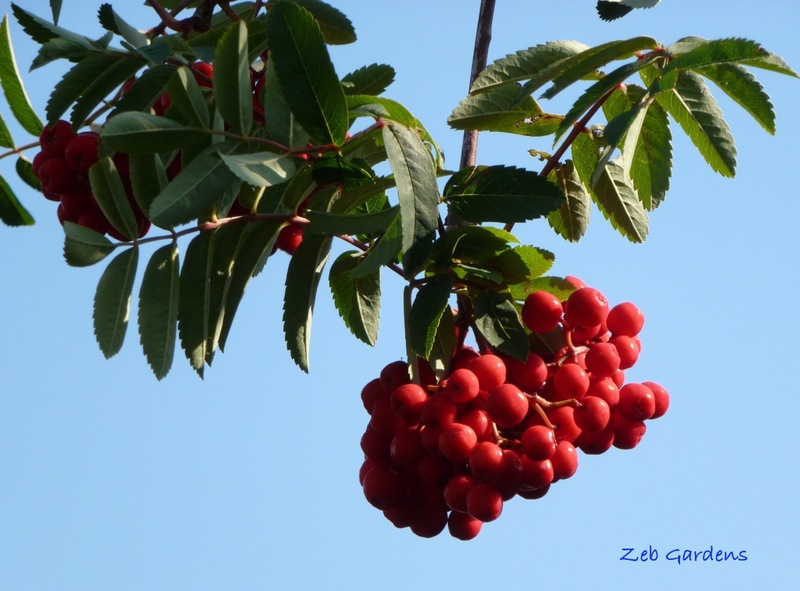 The berries on the Rowan tree are gorgeous, would make a good decoration piece in the house, maybe in a dried flower arrangement. The violet flower has such an interesting shape before it opens, almost like a slipper or a curved light bulb or something. It is hot and very humid here today, might rain. I thought it looked neat too, never mind :) Thanks for reading Mel! Alliums are great fun, and they became very trendy here in recent years, big star burst ones, little tiny ones and some come up every year, and the slugs leave them alone. I love them too! I might try that with the rowan berries, though I don’t know much about drying them for display. The tree is a young one and it’s so full of berries right now I’m worrying the branches might snap. 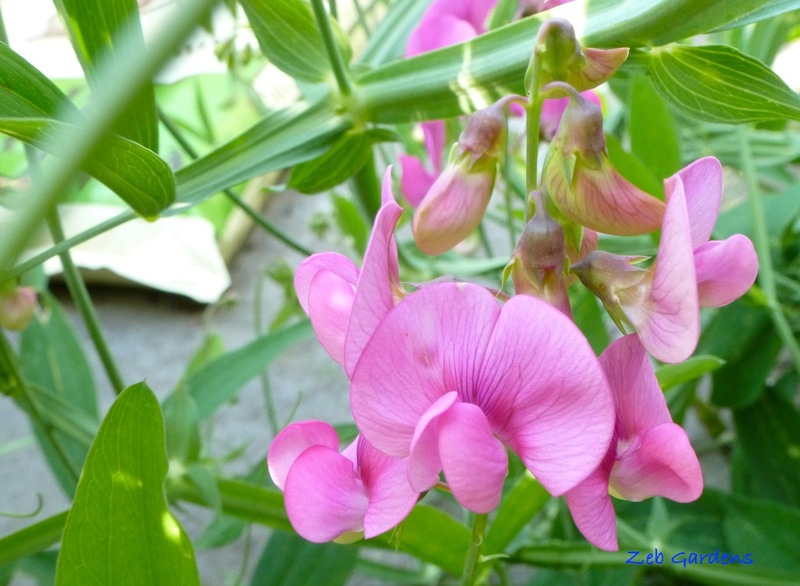 The violet flower is a perennial sweet pea, they produce ‘peapods’ but not of the edible sort. Lovely photos. Your place looks like fun. My husband bought me two books on blogging yesterday. Isn’t he a dear? My eyes glazed over looking at the covers. I do so enjoy your bloggy experimentation! 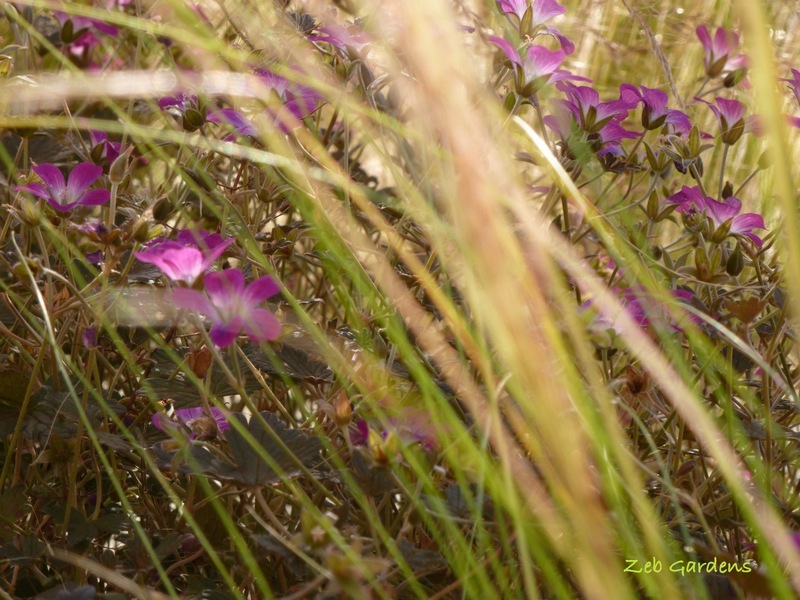 I am stuck in the blog mud- and very rarely do anything new. Mainly because I’m still almost illiterate about computers. Your garden is lovely- mine has be invaded and eaten down by a large animal- I’m thinking a deer. It is sad- but at least I can feast my eyes on the internet! I thought your blog was looking beautiful and sunny the other day in its new theme! Computer literacy is at various levels and I hover around ‘false beginne/lower intermediate’ level most of the time. I don’t want to learn html, my eyes cross over with all those brackets and little symbols, but I have learnt a few bits from posting on forums and leave myself little stickies on my computer telling me the bits I might want to use. I try making myself helpful files with info in them, but I forget where I put the helpful files and then I make new ones… sort of reminiscent of a not very clever squirrel. Fun photos. I always enjoy seeing what other people do in their gardens. I have self-sown tomato plants in my borders! I have about 10 of them, none setting fruit, but I think it’s so funny that these turned up from my homegrown-composted soil. Now why can’t there be some carrots, or jalapeño chili peppers or some black Manolo Blahniks growing in there, eh? I have self sown thistles, sticky bush, dandelions, borage, granny bonnets, hellebores, geraniums, creeping jenny, ground elder, convolulus, stipa and other grasses that come up, and little hazelnut trees everywhere where the squirrels have buried the nuts. We rescue the trees and pot them up and give them away to people. The ones with the red leaves are so pretty. We have 3 or 4 baby oaks growing here and there in the garden. One we left in-situ a few years ago, and now I regret that because I think we’d kill it if we moved it. I’m going to Google granny bonnets. Not sure what that is….OH! Now I know! Is it the blue or red variety that you have? Granny bonnets are the local name for Aquilegia or Columbine. They come in double flowered sorts and spurred sorts and are notorious for not breeding true, but you can get all sorts of interesting mixtures if you plant different sorts. I have black and dark red doubles, and some blue doubles, I have had a lovely dark purple and white spurred one in the past. I adore them ! The garden at Hadspern (when it was run by the Popes) had drifts of aquileigia in all manner of shades of colours. They were colourists par excellence. They sounds lovely! I adore my “Love in the Mist” or “Nigella” that reseed themselves all over the border near the patio. 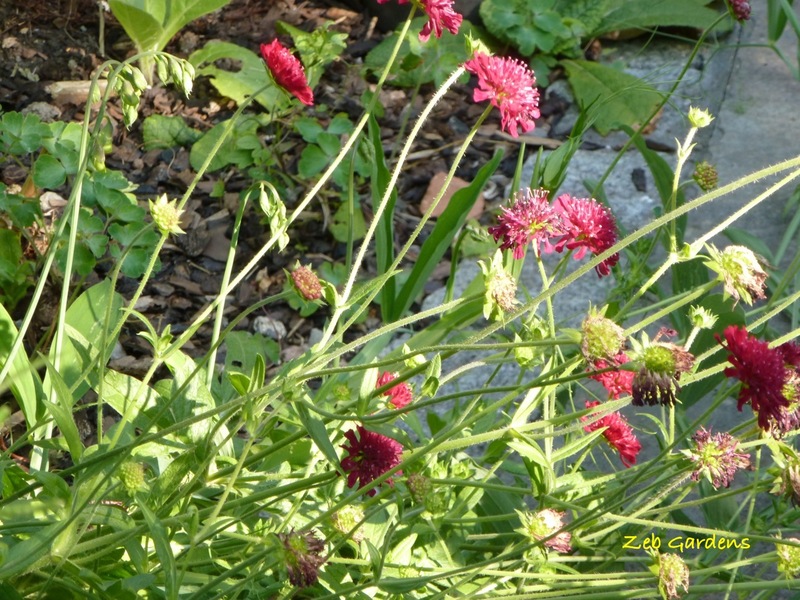 Peder’s always trying to pull them out as weeds, which they are, but I think they’re gorgeous. Did you know that you can use their seeds as poppy seeds for baking? Are they similar to the Nigella Sativa (kalonji) black onion seed, as it is popularly called? That’s the one I know from baking, the seeds are quite big and triangular, used on naan breads and Turkish breads, or at least that’s what I associate them with. I think they are two different nigella’s. Confusing isn’t it? 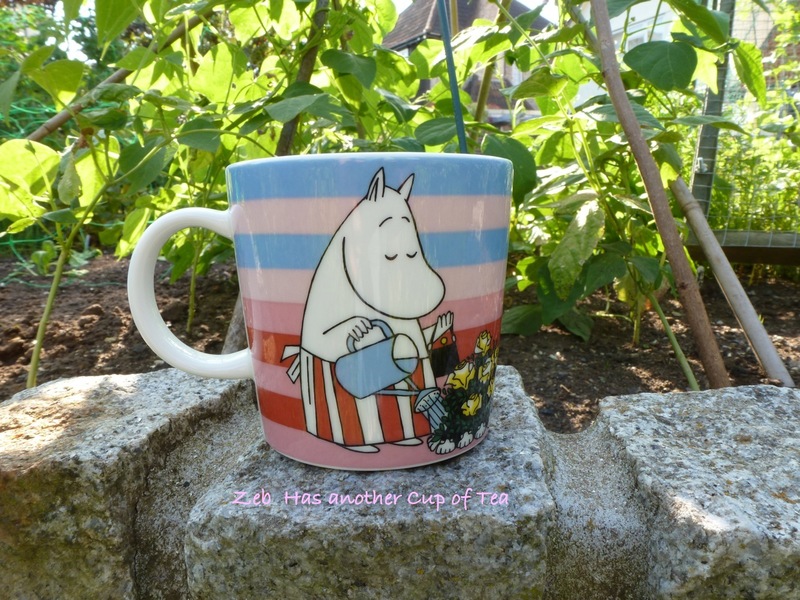 We are having our worst summer ever – actually, we’re not having summer yet – the rains continue when in a normal year they would have stopped by July 1st – and the slugs have grown so fat in the continuing rain, that I fear they could wipe out the entire garden overnight! The only good thing about this is that while the entire rest of the U.S. is suffering under unbearable heat, we’ve yet to have one day that broke 80 degrees F – I can’t decide it this is good or bad. Shame your design didn’t upload properly – it’s very pretty and I love the push pin detail. Not as pretty as your magnificent garden though! I often wish I was more of a green thumb. Hi Keely, now the garden is a bit older and the plants so much bigger it’s quite easy to look after, big plants, mulched chipbark = less weeding. 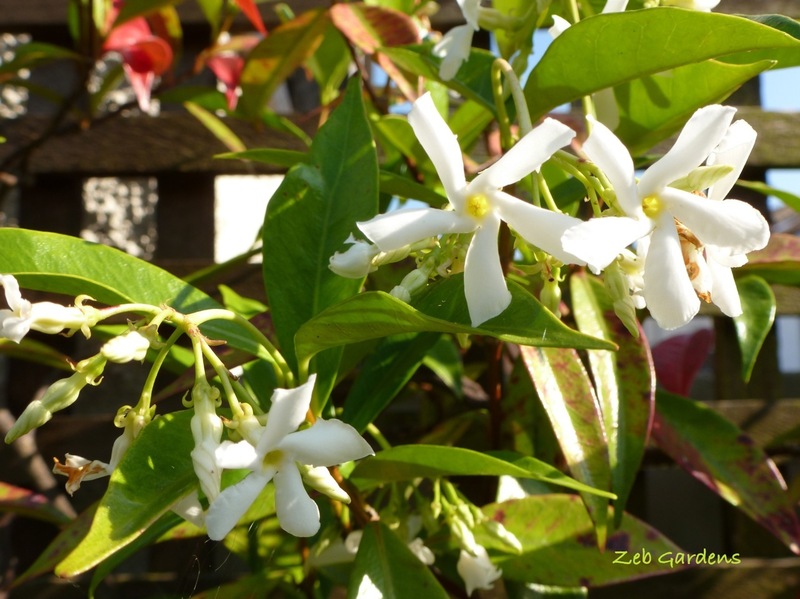 We don’t put in many annuals (apart from seeds) or bedding plants, in fact I haven’t bought any this year – simply haven’t been near the gardening centres, staying out of temptation’s way.